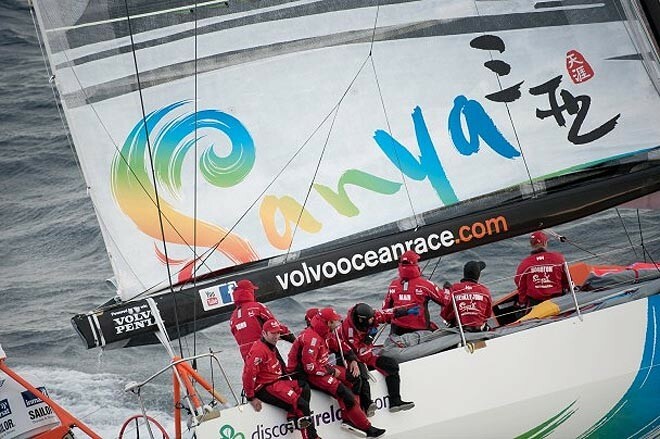 The Volvo Ocean Race crew of Team Sanya are expecting to return to the water in 48 hours in order to conduct a sea trial of their new rigging on the tail end of a two week global effort to replace damaged fittings that forced the crew to suspend racing in Stage 1 of Leg 2. The team’s rigger Frano Tregaskis said it had been a challenging and hectic around-the-clock effort to return Sanya to full strength and ensure the yacht was ready to resume racing to the safe haven port in the Indian Ocean. Tregaskis said the shore crew was on schedule to have the mast stepped, the rig tuned and the lot sea trialled by January 5, and with the sailing team continuing to gather at Madagascar, they remain likely to resume racing on or around January 6. The challenges of conducting the major repair effort on the remote island have been numerous, Tregaskis said, not to mention the difficulty of sourcing all the unique parts required for the state-of-the-art rigging on a Volvo Open 70. ‘For sure it is proving to be a bit of a struggle as we are not in the ideal conditions, but the scenery is quite amazing and after all, you can only work with the tools you’ve got,’’ he said. Tregaskis was pulled from his planned break kite surfing near Cape Town when news that the boat’s rigging was broken on December 19. Within 24 hours he was touching down in Madagascar, before leaving within days with six spreaders under his arm. ‘Only three flights to catch through three countries with some over-sized luggage one day before Christmas Eve – what could possibly go wrong?’’ Tregaskis joked. Tregaskis’ fears were justified and when he touched down at Valencia the spreaders were missing. Fortunately for Sanya, they were located six hours later. Christmas and New Year’s Eve celebrations were almost scrapped for the shore team with Tregaskis resorting to eating roast turkey at the workshop of rigging provider Future Fibres in Valencia. But the festive deprivations were worth it, with the team finishing all the modifications within one week of the spreaders arriving in Europe, then successfully returning them to Madagascar. Under race rules relating to boats which missed the cargo ship, if Team Sanya reach the safe haven port successfully, they will collect four points for sixth place for the first stage of Leg 2 and then automatically add one more under race rules for the second stage and a further two points for the Abu Dhabi In-Port Race.